Are you someone who loves to explore hidden places to eat, stroll and just have a good time at? Then we have picked out a tiny place for you in Paharganj that would introduce you to Jewish culture, their festivities and food. The place goes by the name ‘Chabad House’ which is a centre for disseminating traditional Judaism by a movement. Amidst the hustle and bustle of the over-crowded Paharganj, lies a little quaint ‘Jewish oasis’, Chabad House. Outside in the street of bustling Main Bazaar, a sign-board with Hebrew written on it points towards the Chabad House. You might need to carry your ID for entry. It is like a ‘Little Israel’ and most of the foreign tourists coming here are from that country as Chabad is a transit for them. You’ll mostly encounter Jewish people here. The Chabad house looks what a typical Jewish household. The place is a community center, holds conferences and is probably the best place that serves soulful Jewish food in Delhi. The place also provides soulful Kosher food varieties. The restaurant is one the 2nd floor above the Chabad House and is operational all days except Fridays. The menu is delectable and is even written in Hebrew. The restaurant is as simple as a table-and-chair place but the Jewish Food would make you a fan of this place. The food is so fresh and a special focus is given to the balance of nutrition on the menu. How amazing are that guys? I mean, who knew Delhi can amaze in ways like this. We have been living here and must have visited Paharganj Markets many times, but no one knew a vast culture lives in these crowded bylanes. 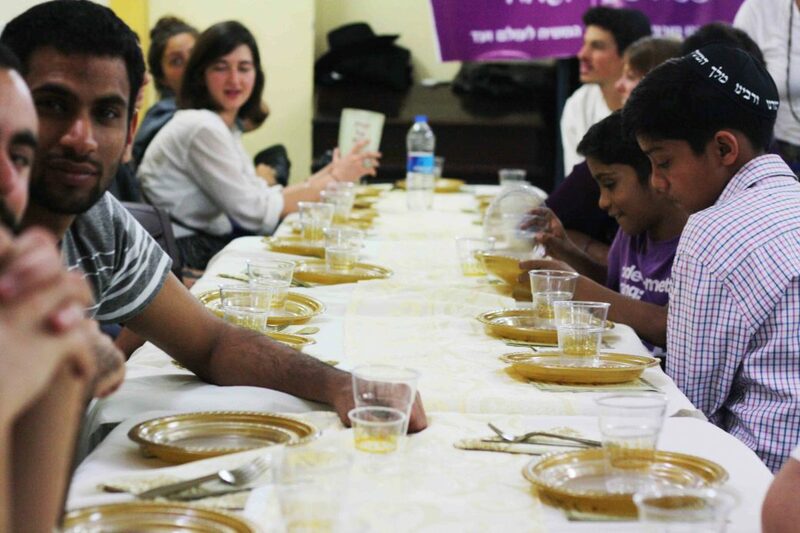 The cultural place along with the Jewish Food is just something you can’t miss! Travel Gets Affordable. DTC To Bring Back Its Interstate Transport Services after 10 Years!